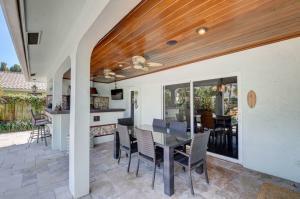 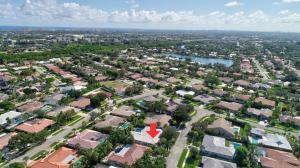 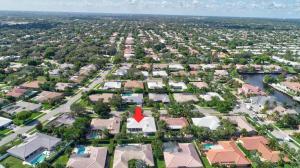 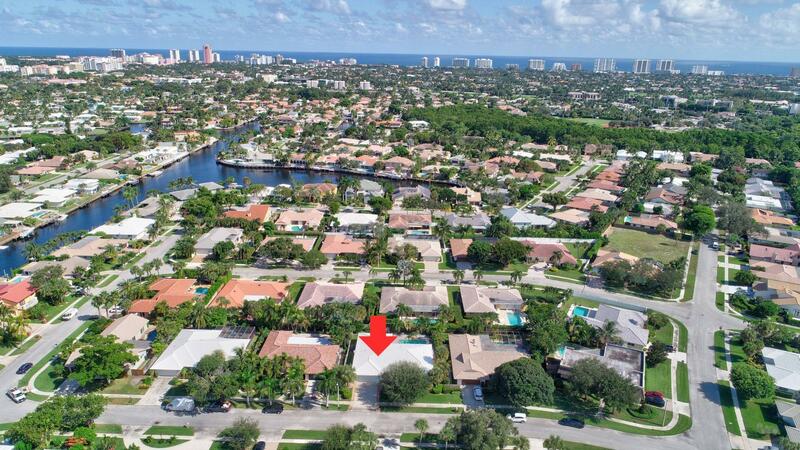 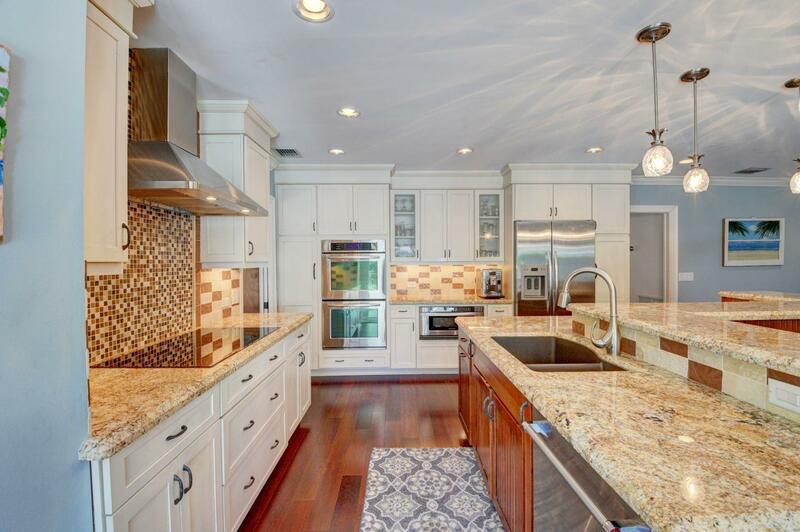 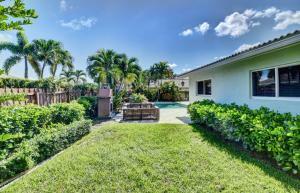 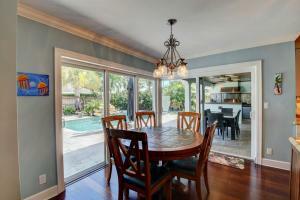 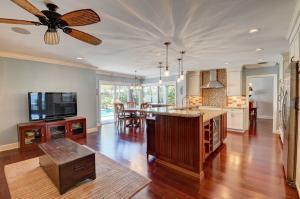 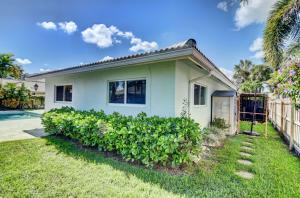 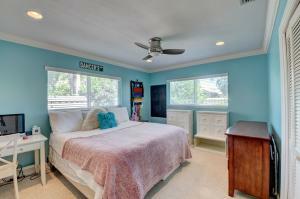 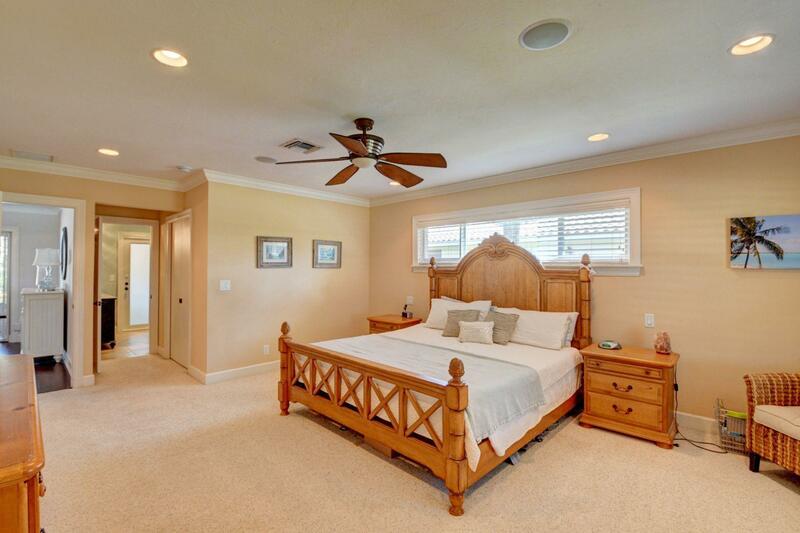 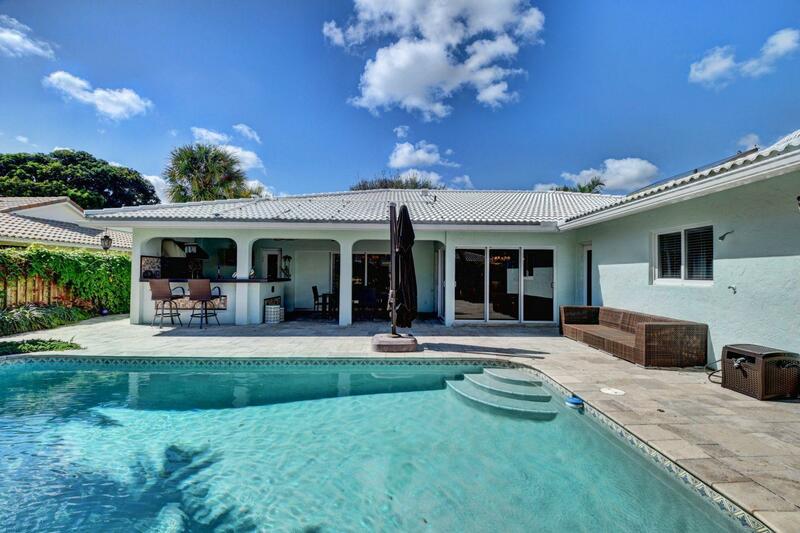 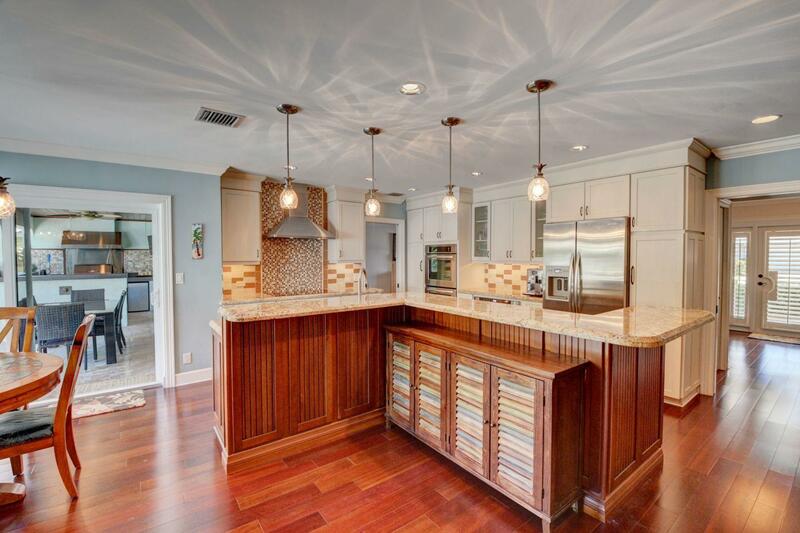 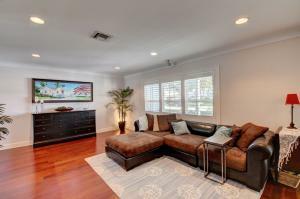 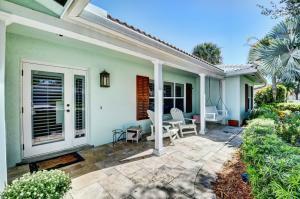 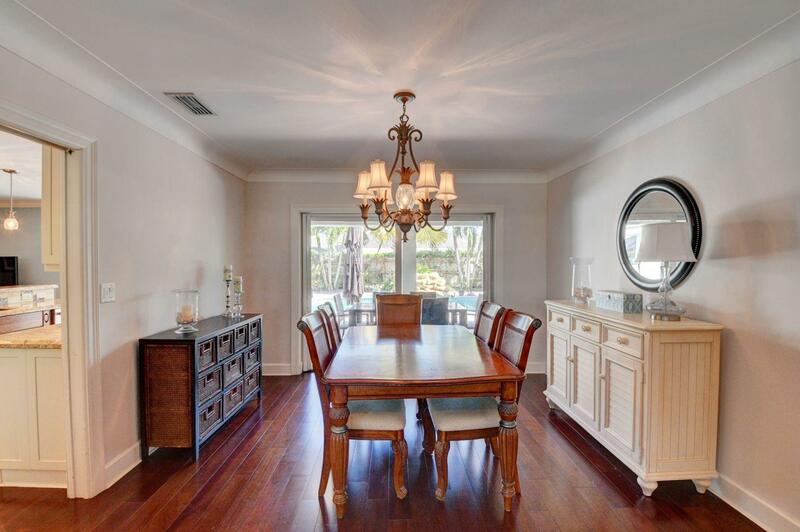 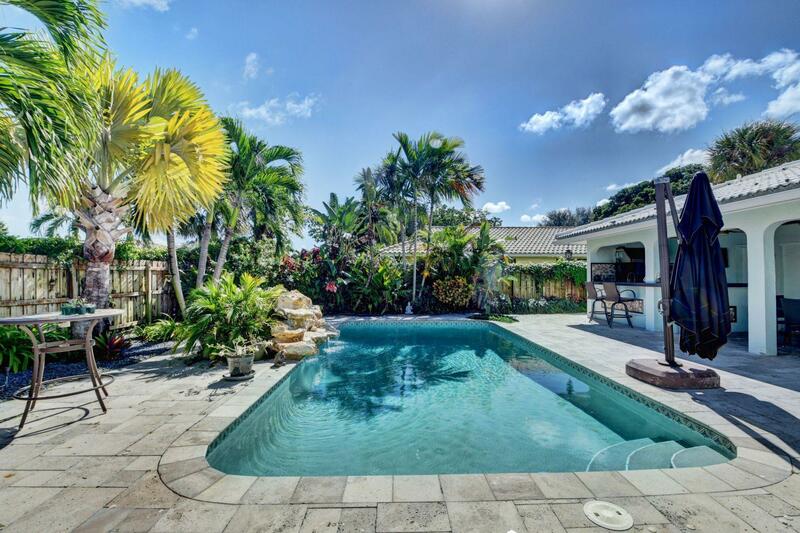 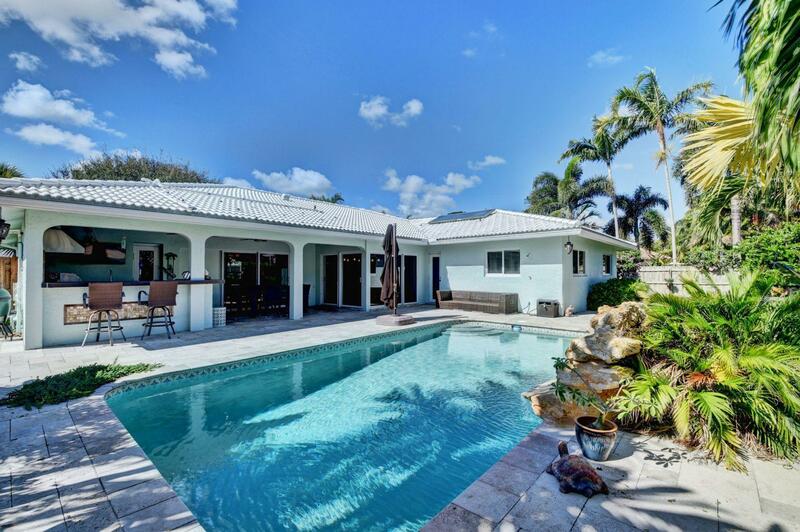 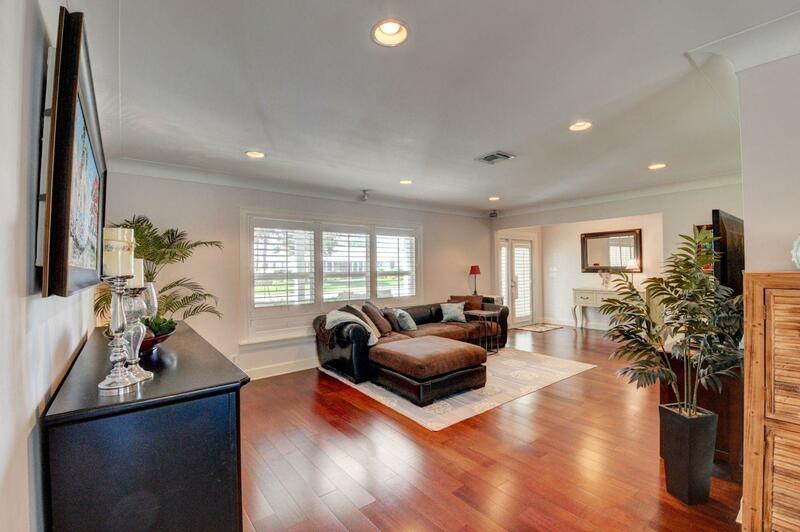 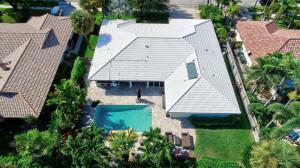 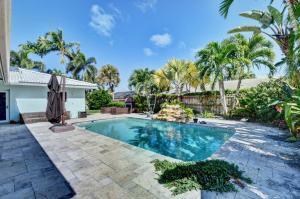 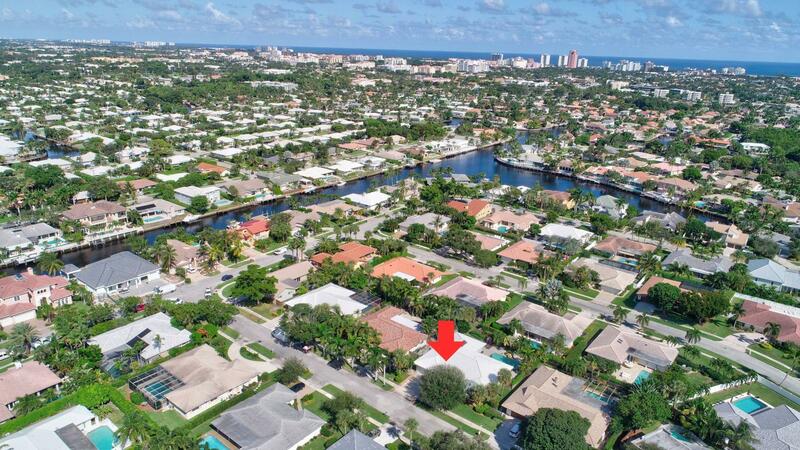 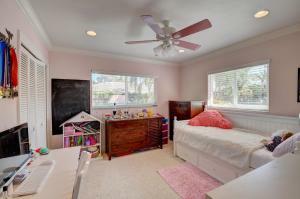 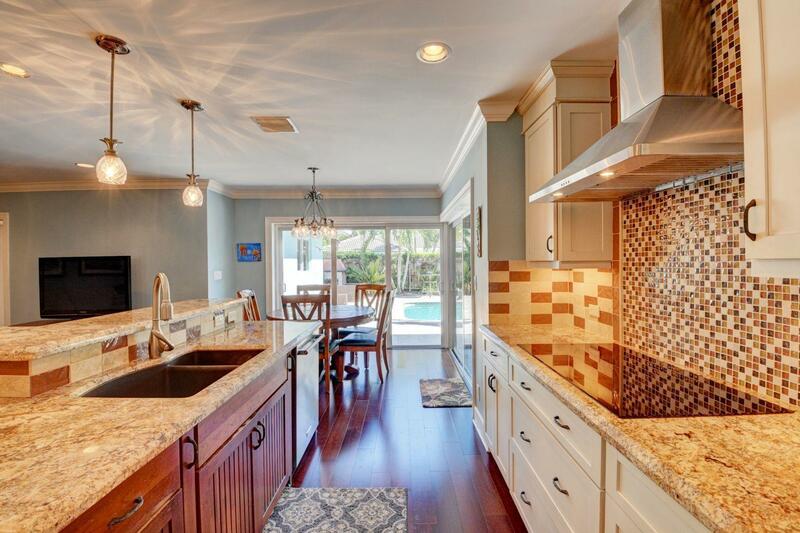 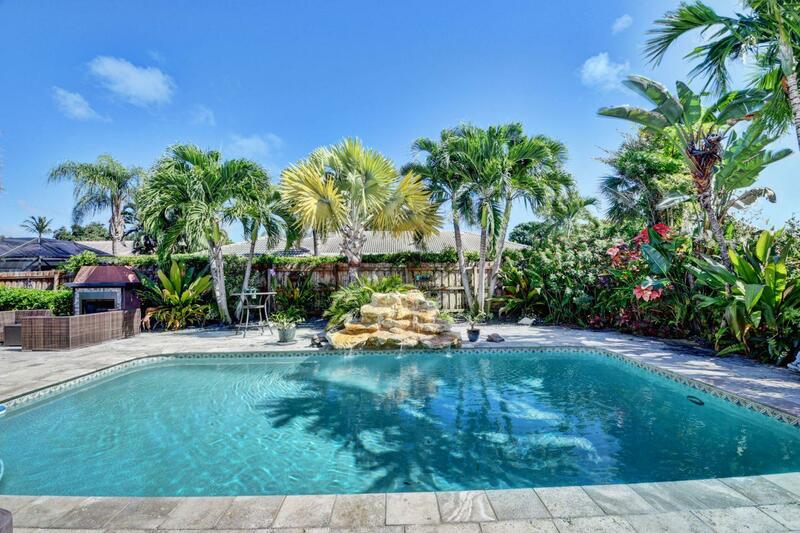 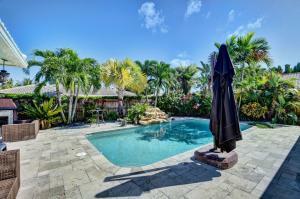 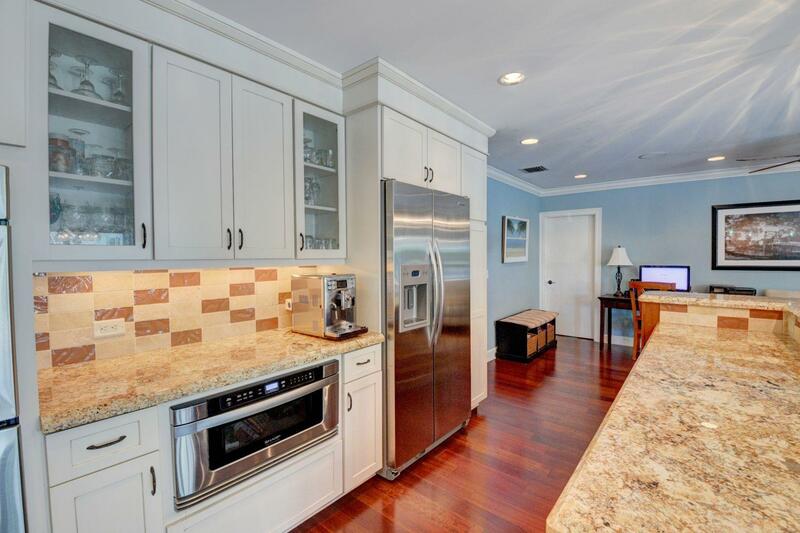 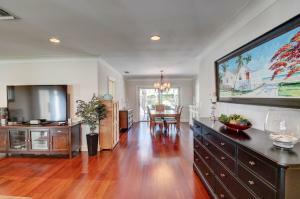 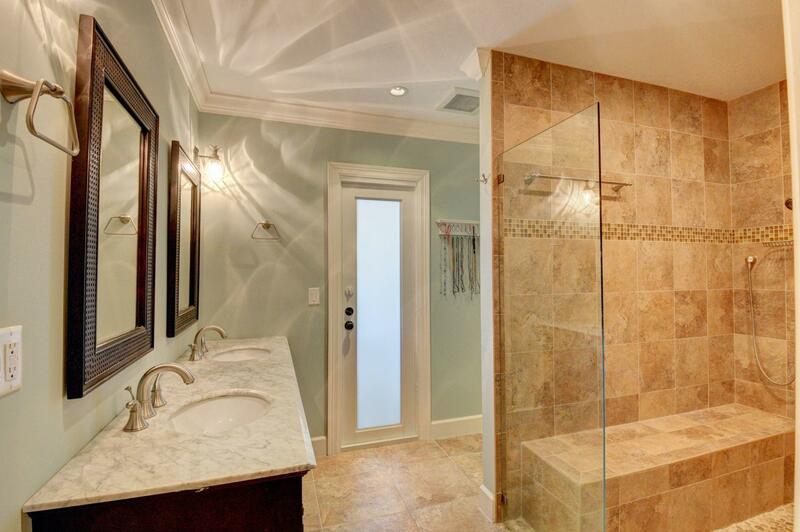 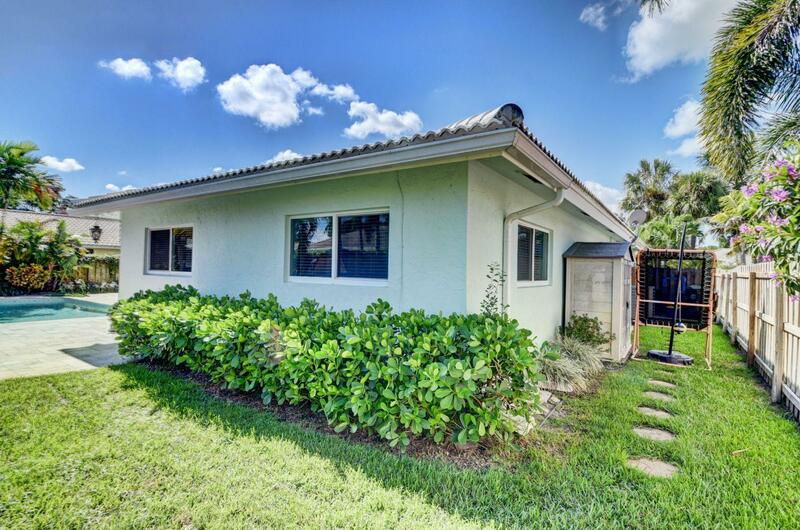 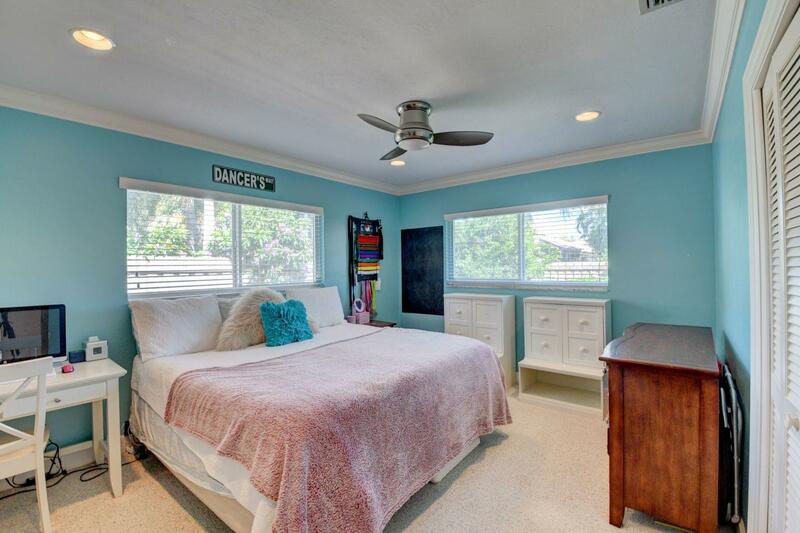 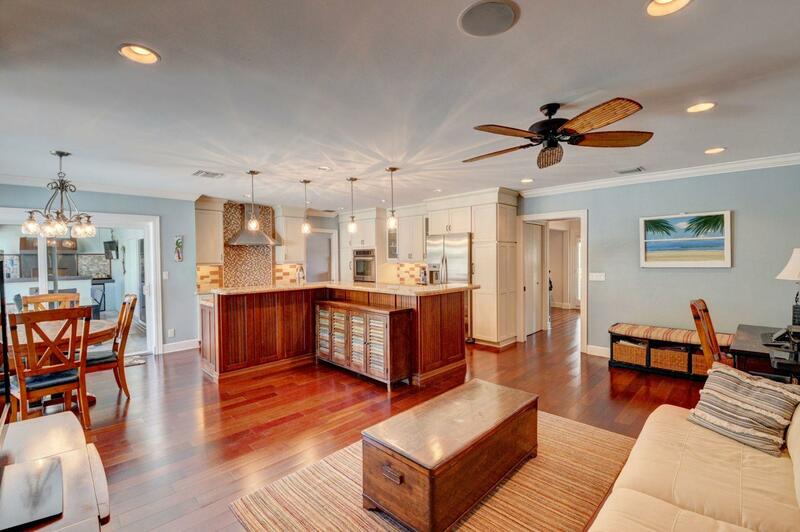 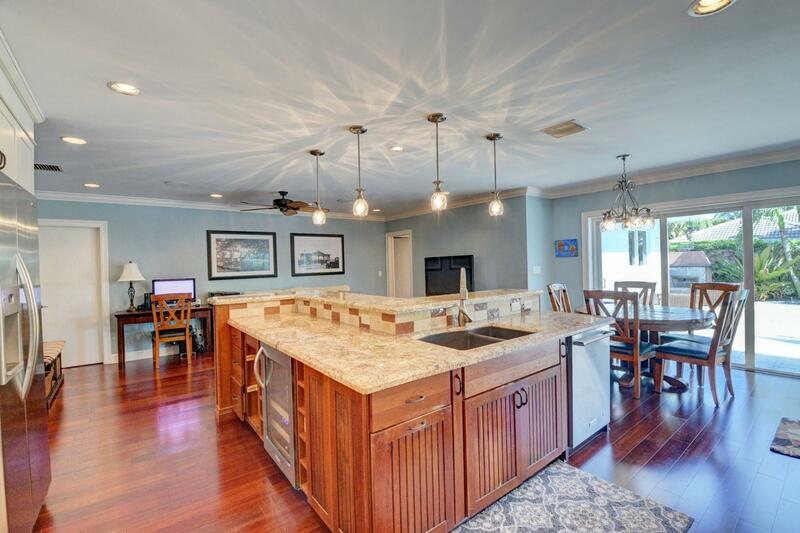 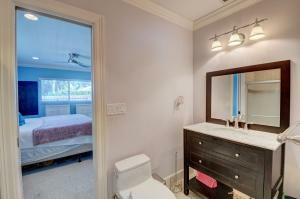 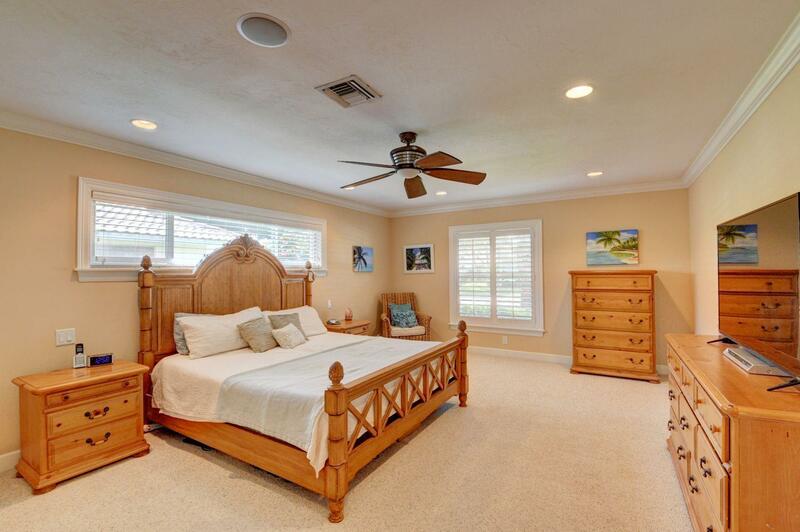 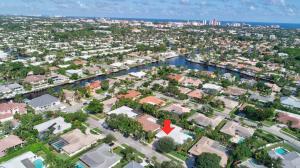 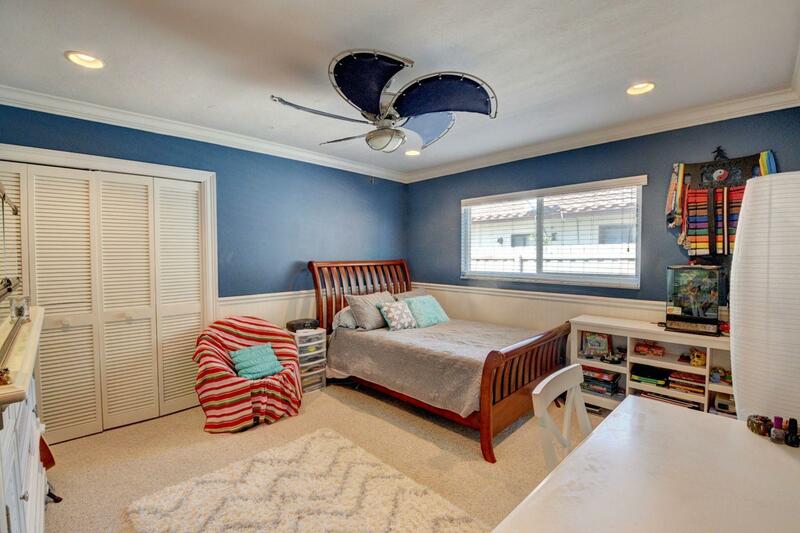 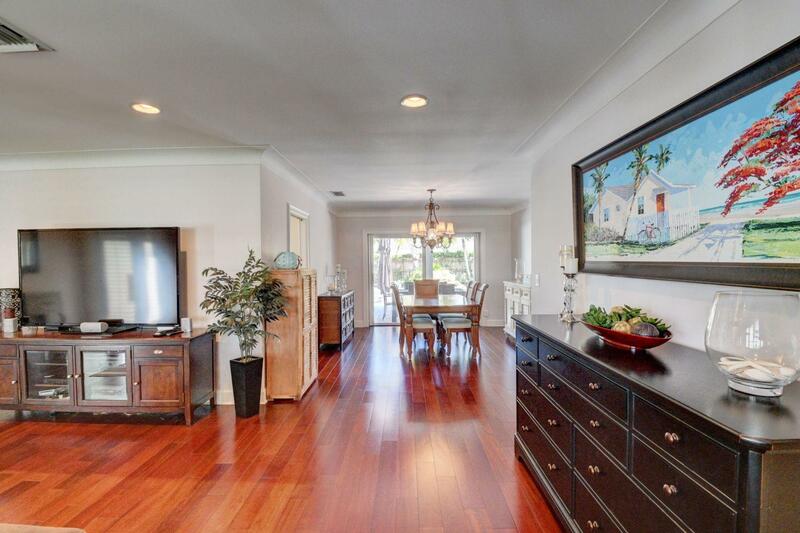 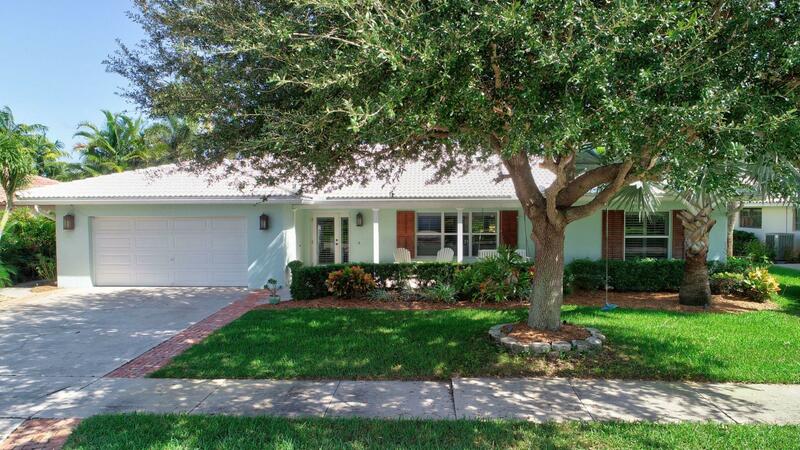 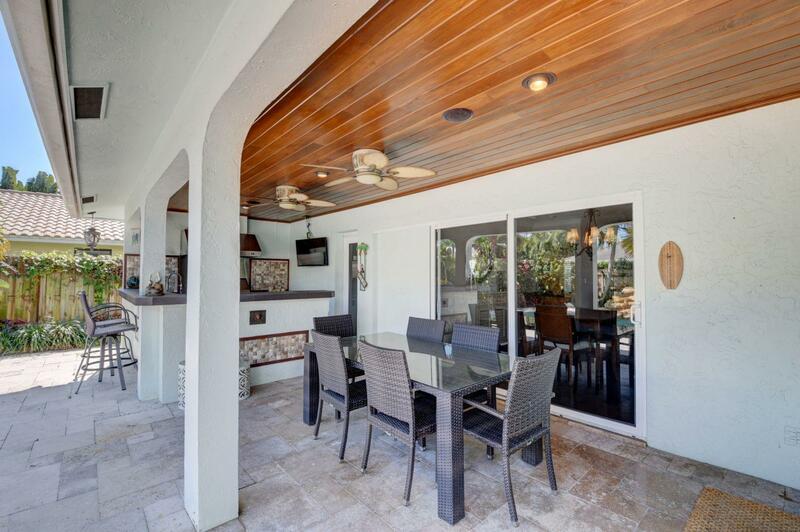 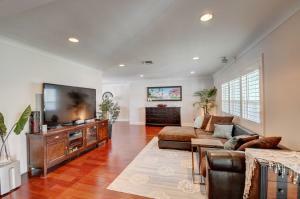 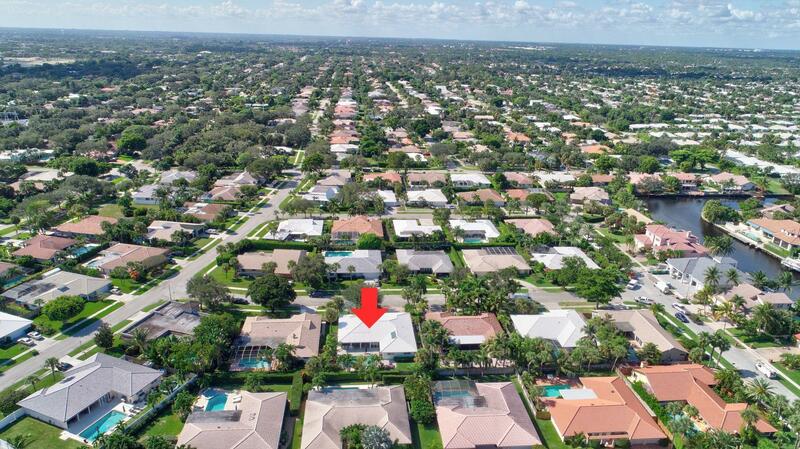 Completely remodeled and updated 4BD/3BA pool home in the very desirable Carriage Hill neighborhood in East Boca Raton. 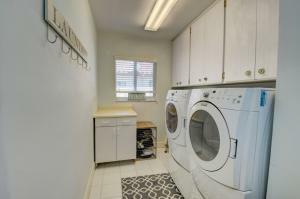 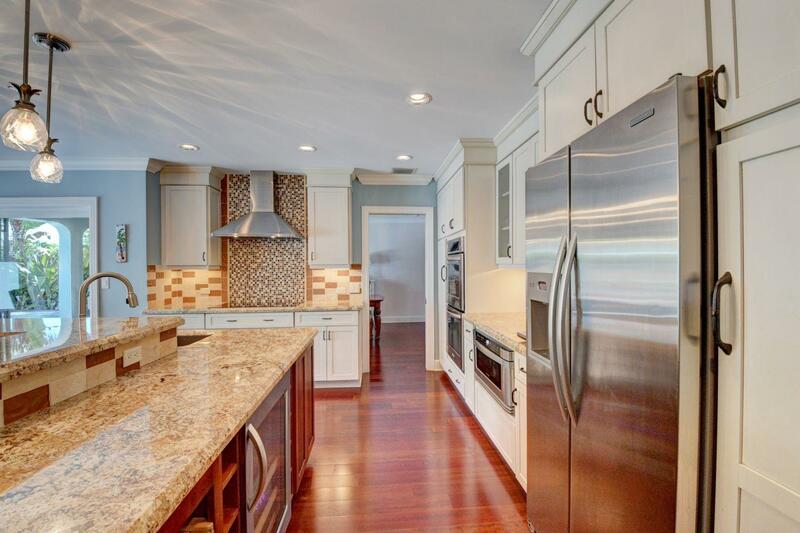 Features include complete impact windows and doors, thick veneer Brazilian Cherry wood flooring, newer AC, newer appliances, speakers throughout, outdoor kitchen and travertine deck. 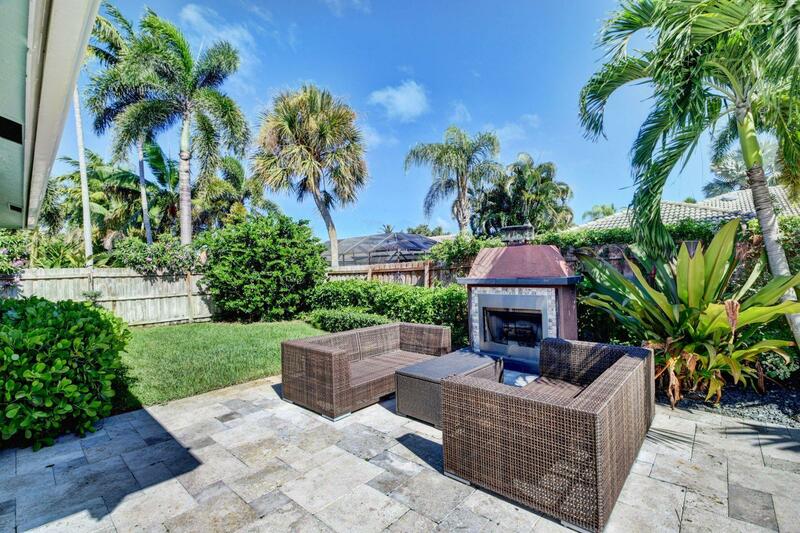 Relax at the outdoor patio with wood-burning fireplace which sits near the pool and waterfall. 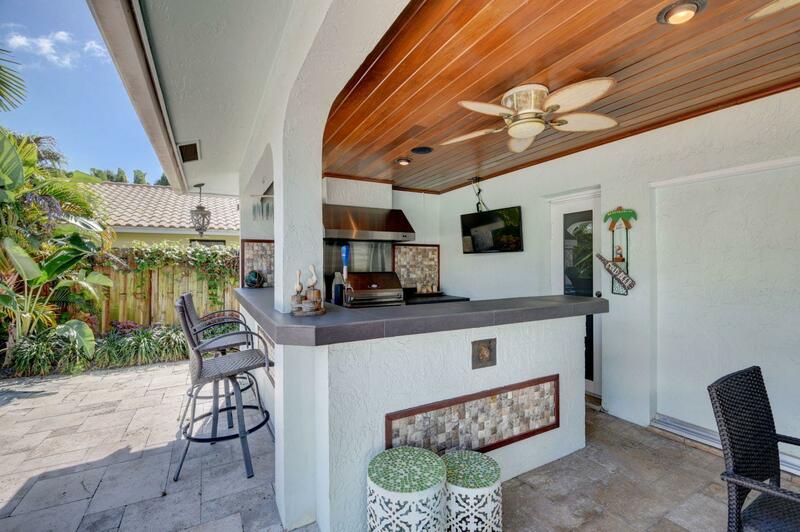 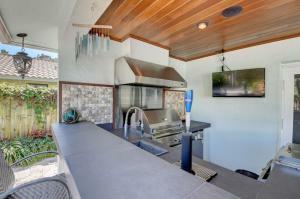 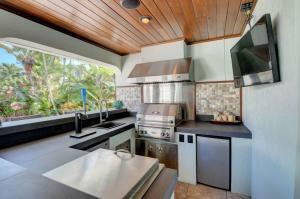 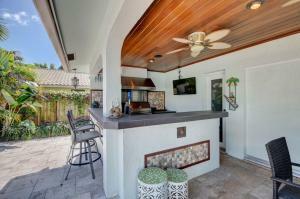 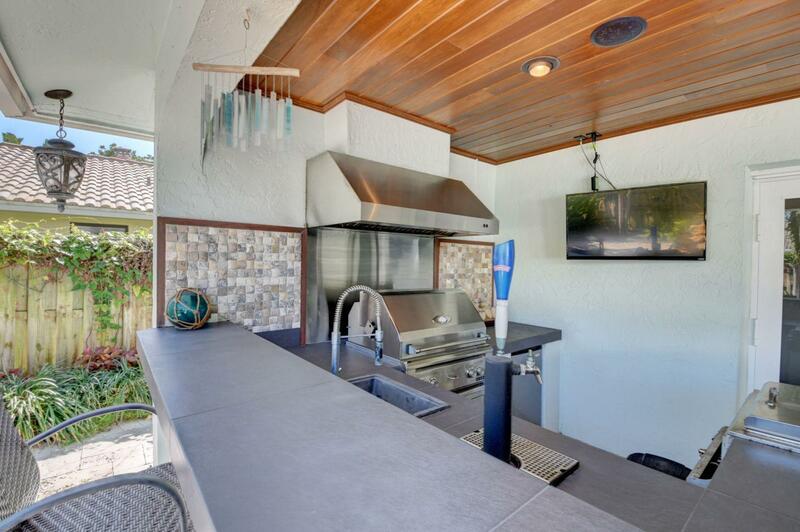 Outdoor kitchen includes grill, refrigerator, and sink. 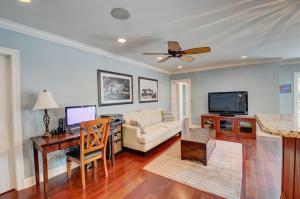 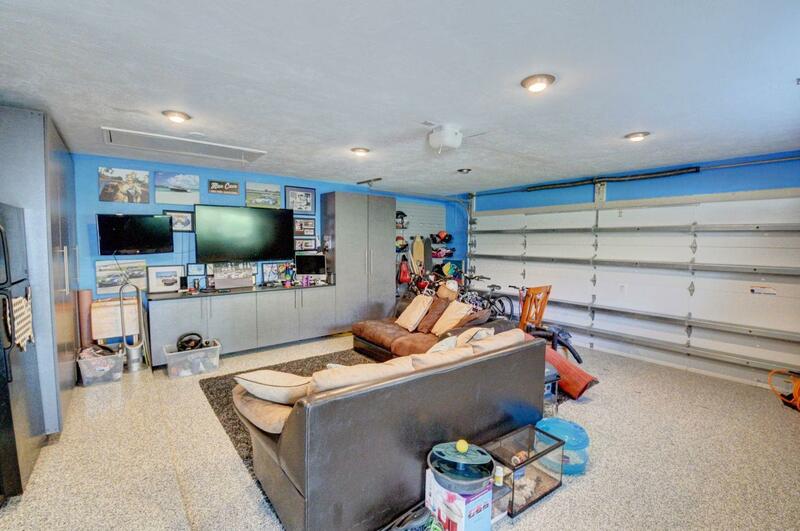 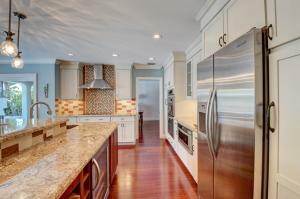 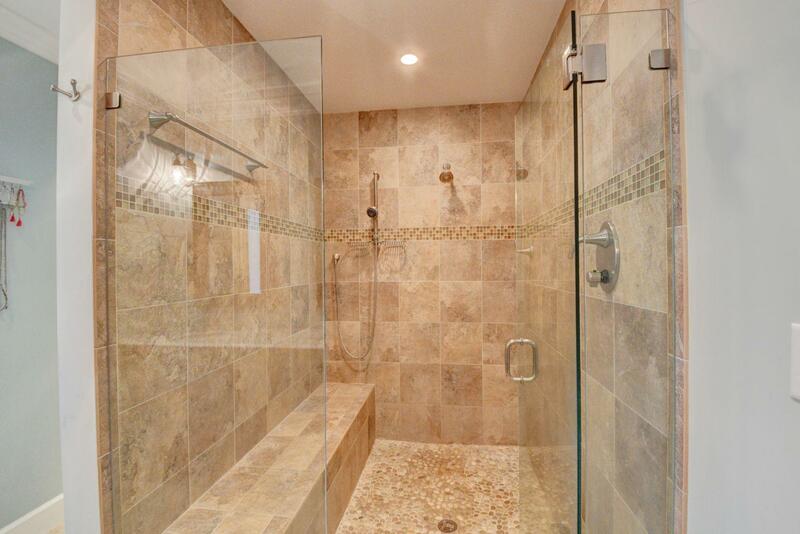 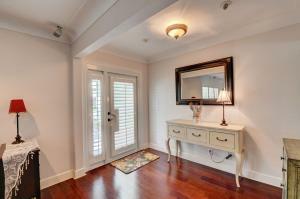 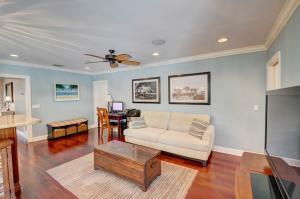 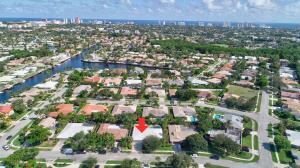 State-of-the-art custom garage comes complete with AC and cable.Close to beaches and shopping including Mizner Park. 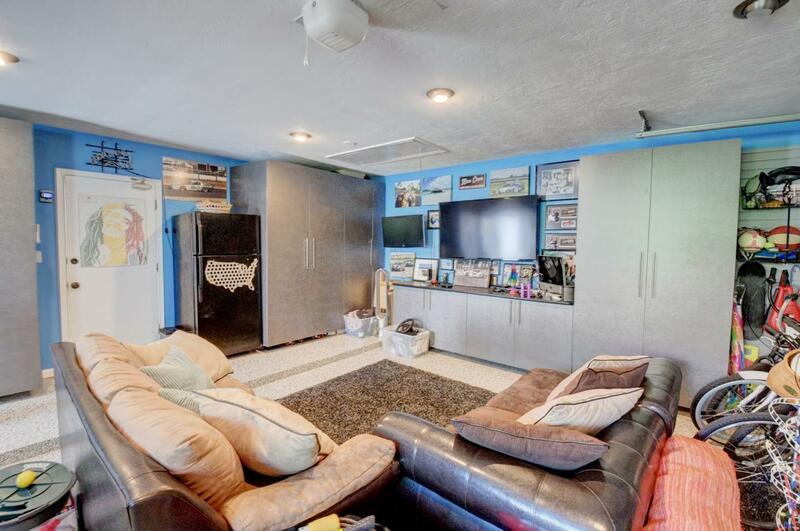 A-rated school district.